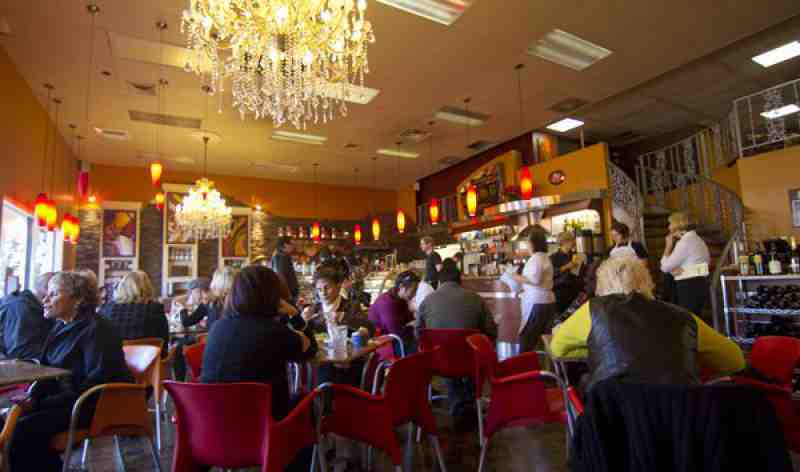 Saquella is a nice cafe that offers a very pleasant atmosphere for breakfast or lunch. While you won’t get a spacious booth like you may in your favorite diner; you’ll get a much more elegant environment and markedly better food. The place has chandeliers and European pendant lighting to compliment its bright, colorful decor. We came here for a late breakfast; they serve their full breakfast menu until noon, and you can also get some items all day. They don’t have many of your standard breakfast choices here; you can’t get sausage or cheddar cheese. We both opted for the All-American omelet, which comes with 2 items and a salad. We both twisted our heads at the salad with an omelet concept, and asked if we could get 3 items instead of the salad. The server said OK, so I ordered my omelet with spinach, swiss and onions. It also include bacon and hash browns. When our server approached the table, it didn’t take long to see what was wrong. They made the omelets properly, but gave us the salad also. Our server assured us that they didn’t charge us extra, so no harm done. The food was very good; the hash browns where more like a potato pancake and I could have done without it; but the bacon was lean and well done and the omelets had just enough ingredients. The coffee here was also good, and at only $1.88 for a bottomless cup its not a bad deal. 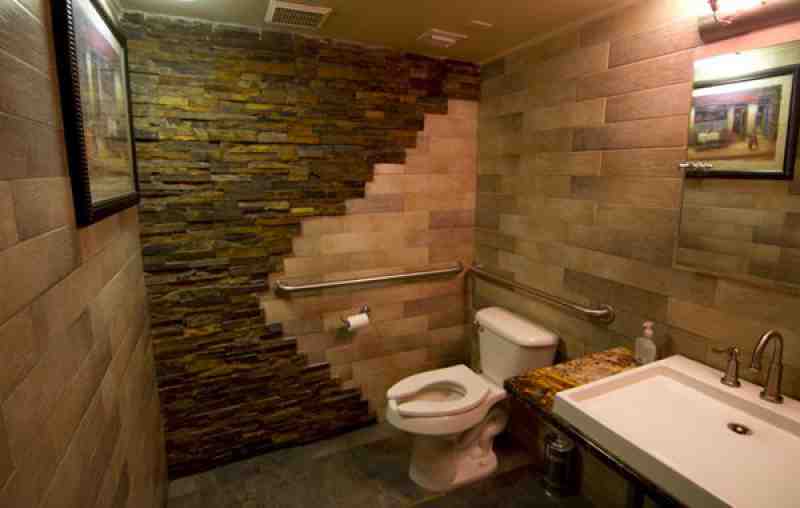 I never photograph bathrooms, but even the bathroom at Saquella was impressive. 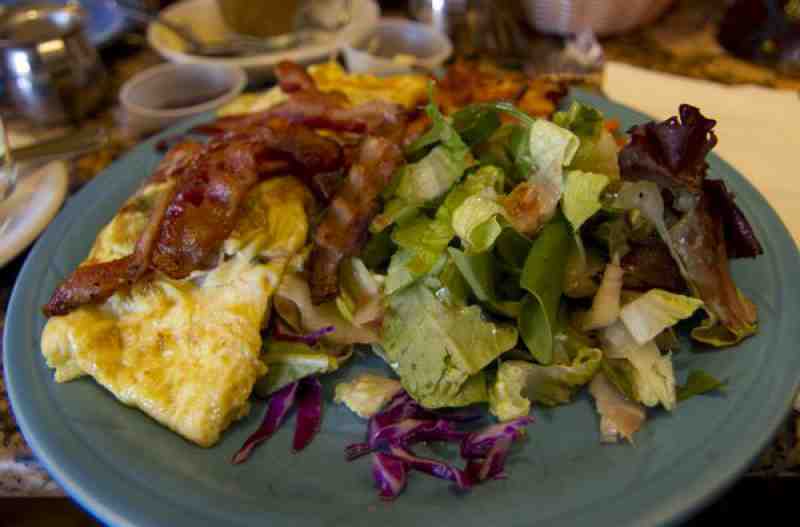 Overall, the Saquella Cafe is one of the nicer places to have breakfast in Boca Raton, with fair prices and good food.